The 11th edition of the 3DEXPERIENCE FORUM will be held in Bengaluru on 12th September and in Mumbai on 14th September this year. With the theme of ‘Digitalization Powering the Future of Indian Industries,’ the 3DEXPERIENCE Forum 2017 will dive deep into today’s industry challenges and convey the power of digitalization for business performance and success. The 3DEXPERIENCE Forum 2017 will be addressed by Bernard Charlès, Vice Chairman & Chief Executive Officer, Dassault Systèmes, and Monica Menghini, Executive Vice President, Chief Strategy Officer, Dassault Systèmes, alongside industry thought leaders from Automotive and Aerospace industries. This year, Bernard Charlès in his plenary session will provide a perspective on how virtual universes are driving sustainable innovation in the most dynamic and pioneering companies. Monica Menghini, in her session, will be discussing and shattering the myths of platforms in the experience economy. Gaurav Gupta, Principal Secretary to the Government, Dept. 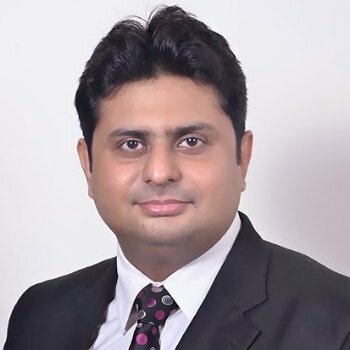 of Information Technology, Biotechnology and Science & Technology, Government of Karnataka will be the key note speaker in Bengaluru while Vijay Sethi, Chief Information Officer and Head Corporate Social Responsibility at Hero MotoCorp Ltd will be the key note speaker in Mumbai. Other distinguished speakers in the plenary include Rajesh Mishra, Senior VP (Corporate Processes and IT), VE Commercial Vehicles Ltd, Akilesh Jha Senior Scientist, Aeronautical Development Establishment, Defense Research and Development Organization and Dr. G. Venkatasubramanian of National Institute of Mental Health & Neuro Sciences (NIMHANS). There is an interesting line of internal speakers from Aerospace & Defense, Transportation & Mobility, Academia and experts on Smart Infrastructure and Cities. Patrick Fardeau, Vice President, Global Sales and Market Development, Aerospace & Defense Industry, Dassault Systèmes will deliver a talk on Aerospace & Defense Industry in 2017, while Olivier Sappin, Vice President Transportation & Mobility Industry, Dassault Systèmes will provide a detailed perspective of the automotive trends including electric vehicles, environment norms and the massive role of digitalization. Dassault Systèmes will be demonstrating the power of Digital Manufacturing in enhancing operations including Digital Continuity from design to manufacturing, be it on the premise or cloud, and propagate latest technologies like Additive Manufacturing for customized requirements across industries. Several industry tracks will run in parallel including Aerospace & Defense, Transportation & Mobility, Academia, Smart Infrastructure (including Energy, Process & Utilities and Natural Resources) and Smart Cities. The 3DEXPERIENCE FORUM 2017 will also showcase a technology playground consisting of a Manufacturing Experience Zone featuring Digital Continuity and 3D Printing, a demo of 3DEXPERIENCity, and several industry experiences. For real-time updates on news and happenings about the event, please follow @3DSIndia and #3DEXPERIENCE on Twitter.